LG Innotek is going to produce camera modules that are for Apple in Vietnam and this will be the first time when LG Innotek is producing its camera modules that are for Apple in a foreign country. It is expected that LG Innotek will be able to strengthen its competitive edge in production cost and expand its production capacity by producing camera modules in Vietnam and that it will be able to increase amount of businesses it does with Apple. According to industries, LG Innotek recently finished constructing its plant in Vietnam and started trial operations. This is part of investment worth $230 million that was decided by a board of directors meeting held July of last year and it is understood that part of production lines has been built as of now. LG Innotek is planning to produce rear camera modules that will be supplied to Apple from this newly built plant. These modules are part of single cameras and dual cameras that will be installed on the back of iPhones. LG Innotek is planning to have a production capacity of 100,000 modules per day by end of this year and it seems that it will start supplying them on full-scale to Apple in 2018. This is the first time LG Innotek is manufacturing camera modules that are for Apple in a foreign country. It had been manufacturing camera modules from its plant located in Gumi. It built production lines exclusively for Apple and had used these lines as advance bases for dealing with Apple as it had continue to extend these lines whenever there was an increase in number of orders. It seems that there are mixed reasons why LG Innotek has added foreign production to its current plan. First reason is an increase in amount of orders coming from Apple. According to industries, LG Innotek is fully operating seven production lines in Gumi for 24 hours. On the other hand, it is operating other lines that are for other Smartphone manufacturers during regular working hours. However it is heard that these seven lines are not enough to satisfy Apple’s orders. In recent 6 months, it even hired about 700 employees for its camera module business. It is believed that LG Innotec is focusing more on camera module business in order to strengthen its competitive edge in production cost and to carry out businesses with Apple continuously while level of need for expanding supply capacity has increased at the same time. Apple is LG Innotek’s major customer. It is estimated that LG Innotek will make about $6.2 billion (7 trillion KRW) in sales this year and it is estimated that it will make about $3.54 billion (4 trillion KRW) just from camera modules. Most of $3.54 billion will come from a business with Apple. 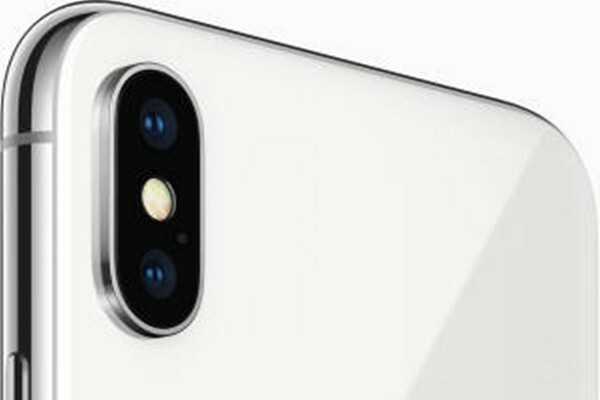 Since importance of camera modules that are for Apple has absolutely gotten so huge, LG Innotek is actively responding to Apple’s requests from aspects of quality, supply, and unit cost and its investment into its plant in Vietnam is part of LG Innotek’s plan to maximize its sales from Apple. Vietnam is helpful in improving its competitive edge in production cost as personnel expense in Vietnam is only tenth of that in South Korea. LG Innotek’s plant in Vietnam will continue to bring in equipment until 2018. Considering this, it is likely that its business with Apple will continue until 2019. “It is heard that LG Innotek’s plant in Vietnam is built in order to match increased orders from Apple.” said a representative of an industry. “It is likely that there is already an outlook for 2018 from Apple.” LG Innotek said that it cannot disclose any information with its customers when asked about its business with Apple.